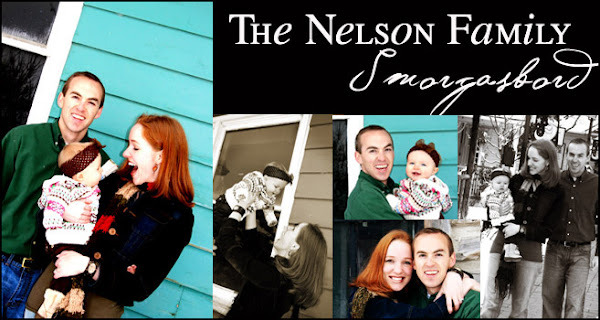 The Nelson Family Smorgasbord: Oh What Do You Do In The Wintertime? I know we are on the brink of a new season (HAPPY DAY!!! ), but there are still many indoor days to endure and I have EXHAUSTED every last one of my super-mom creative ideas to keep Charly entertained for 12 hours of the day. "HELP ME! WHAT DO I DO NOW???" Sure, we go on occasional trips to the library (which is actually a nightmare), to the store (another nightmare), to the Aquarium (not the lame one you pay for to occasionally see a fish or two, but the shop by our house on 7th and about 92nd South...it's the BEST!...and it's FREE!) I LOVE the Discovery Gateway Museum downtown, but that's just it...it is DOWNTOWN and it also costs. So, what do YOU do in the wintertime?? I would love to hear some of your fun ideas! 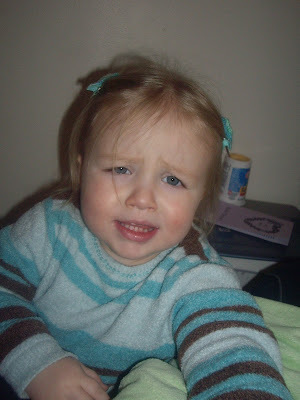 Charly is now 2 and one BUSY little girl! Just for the record, I do not care for the Fast Food Playlands, although I do know it is at times a lifesaver for many parents...but not for me. We played at the park today!! It was wonderful. I almost cried I was so happy. But also.... for the days that are still too cold for parks... we have a pass to the Children's Museum and can bring up to 3 guests with us. So we'd love to have you come with us sometime. That is if you want to come all the way downtown. LEt me know. You could build a fort inside with blankets... that usually entertains my kids for a long time. Go to one of those kid/mom movies in the theaters for only a buck. Also the playland at the Southtown mall is awesome. (Not connected to a food court or anything. It's just a fun dinosaur playland.) My kids loved going there when we lived with my folks. Ummm... that's all I've got for now. Good luck. Hey! Rook really LOVES puzzles and books. I can put him in his room and shut his door and he will play for a really long time. Or on the floor while I'm making dinner. I'm really big into kids entertaining themselves. And now Alexa and Rook entertain eachother. IT's been 3 weeks for Rook on the potty and he hasn't had any accidents for 5 days. I totally recommend "Toilet Training in Less than a Day" by Nathan Azrim. It tells you what to look for to see if you child is ready and gives you things to help them become ready. WHen are you due? If you ever do make it downtown, Phoebe loves the Church's children's museum (Free). Tomorrow is free zoo day too! It was sooo nice today! We also spent a lot of time today at the park! It was so great! Also, the pet farm is open at Thanksgiving point! She would love that! I'm so glad you posted this because we're in the same boat! I always imagined making play dough and forts and going to story time at the library and such with my kids...but Taylor could care less! Since every kid is different, it's great to get new ideas of things they might enjoy! We've been blowing lots of bubbles: into the tub or in the kitchen if the floor needs mopped anyways. okay, Rook hadn't ever played with a doll, so I bought it and put it on the counter still in it's pkg and just kept talking it up. He was so excited to play with it when "potty day" finally arrived. I found it extremely helpful when he taught it to potty and gave it treats. And then when "Dolly" had an accident, he told her NO and how disappointed he was. THat made it easier when he had an accident. He kinda knew what to expect. I just bought the cheapest one at Walmart for $14. I had to plug it while it drank and then take the plug out when he put her on the potty.